This fund supports the Survivors Fund, a UK charitable organization. Click here to learn more. I understand that my gift to CAF America becomes the property of CAF America and that CAF America has ultimate control, authority, and discretion with regard to its assets. 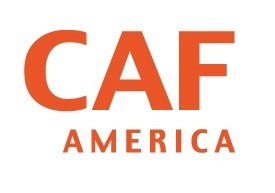 All grants made by CAF America are in its sole and independent discretion. Charities Aid Foundation of America has partnered with Network for Good to securely process your online credit card payment via Network for Good (tax ID 68-0480736). This transaction will appear on your credit card statement as "Network for Good." This transaction is subject to Network for Good’s Privacy, Security & Disclosure Statement and the Charitable Solicitation Disclosure.